My Little One has always liked to do things in the kitchen be it cooking to experimenting with mixing ingredients together. Sometimes it is nice to be able to set her free in the kitchen with no worries of explosions or huge messes and that is when we turn to the lineup of Yummy Nummies’ products. We have review a number of Yummy Nummies’ products in the past from individual dish items to a play set for S’mores. 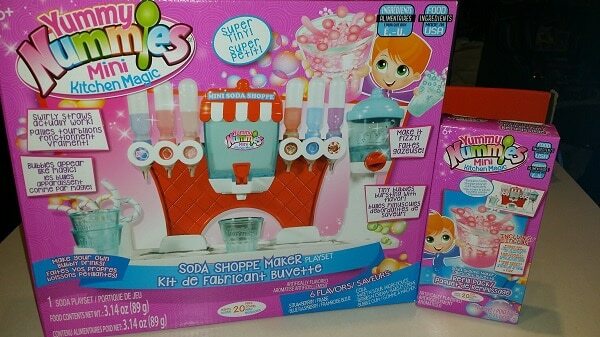 This time around, we have checked out the Yummy Nummies Soda Shoppe Playset. The playset is easy to clip together. It is easy to take apart as well as you have to do this to get everything nice and clean before and after use. My Little One really enjoyed making sodas and she thought that they were delicious. 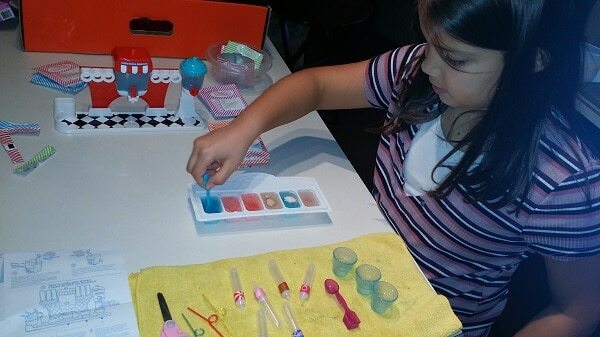 Cleaning the unit after use is an adults job as it is difficult to get the tiny straws and the flavor droppers clean. I recommend soaking them in warm soapy water and swishing the water through them a few times. Then let everything air dry completely. The Yummy Nummies kits always come with everything that the little chef needs. The instructions are also very easy to read and follow so as long as kids can read the instructions themselves, they should be able to do the kits themselves. The instructions come with illustrations as well to help guide the little chefs. 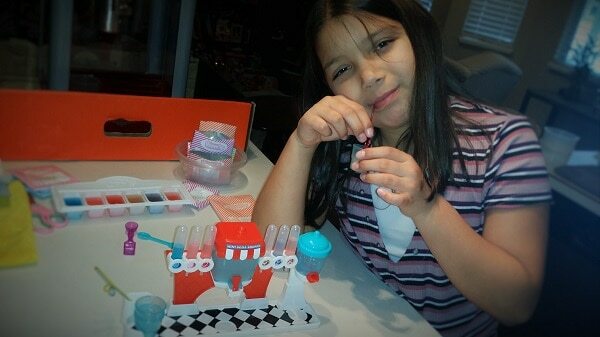 My Little One really liked the Soda Shoppe playset. She had fun making the sodas and she liked how they tasted. She enjoyed mixing the flavors that they recommended and making her own mixtures. I recommend checking out the lineup of Yummy Nummies’ products especially if you have a little one that is interested in cooking and creating in the kitchen. To find out more about all the Yummy Nummies’ products, make sure to visit them here…..